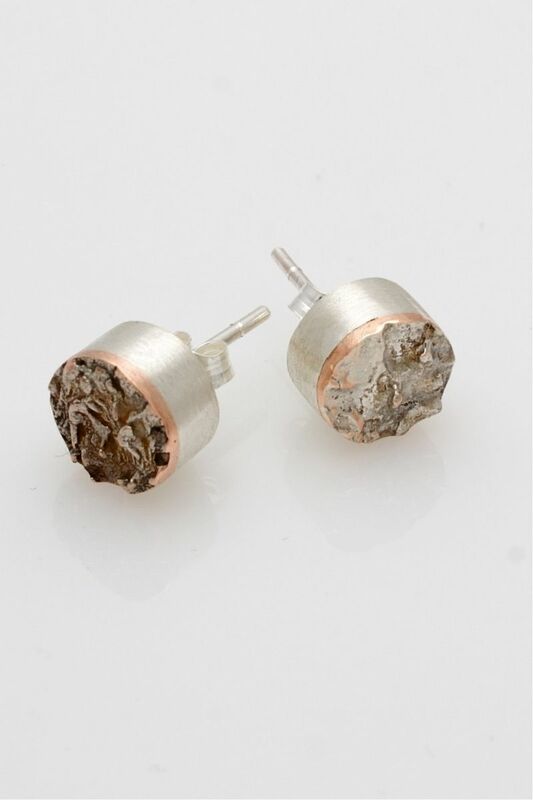 These finely handcrafted earrings feature a combination of silver and copper metals. Mostly made from silver, the top is given a raw finish and a touch of copper. It is the perfect everyday accessory.